Under Other Services, select Set up Standing Instruction and Complete the Authentication. If you have not added VCG Partners as your payee, you can set it up first. We are using DBS bank, therefore you only have to enter the recipient’s name and account number. 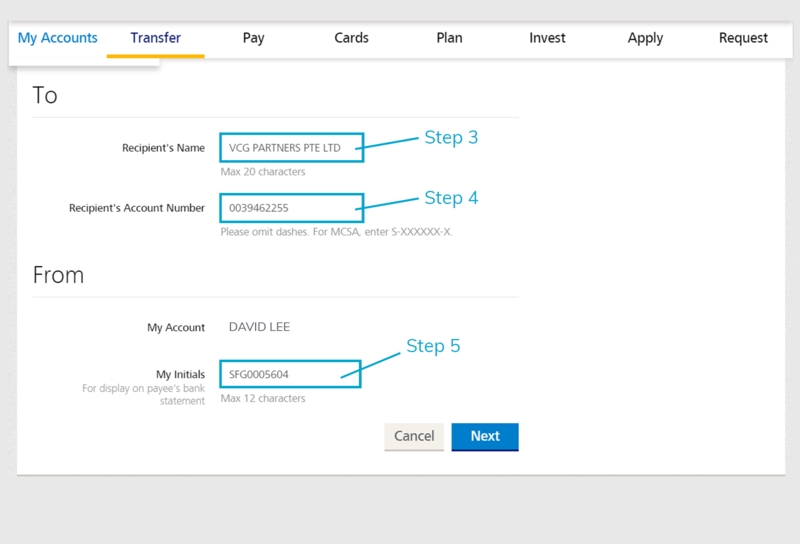 Once you have added VCG Partners as your payee, you can create a standing instruction for regular deposits. Here are the steps required. Enter the date which you would like the recurring payment to start. Most of our users usually set up at the end of the month (After they receive their income 😉). Enter the date which you would like to stop the recurring payment. If you plan to invest monthly for a year, you can set the end date exactly one year later. Under the payment frequency, select how frequent you would like to invest. 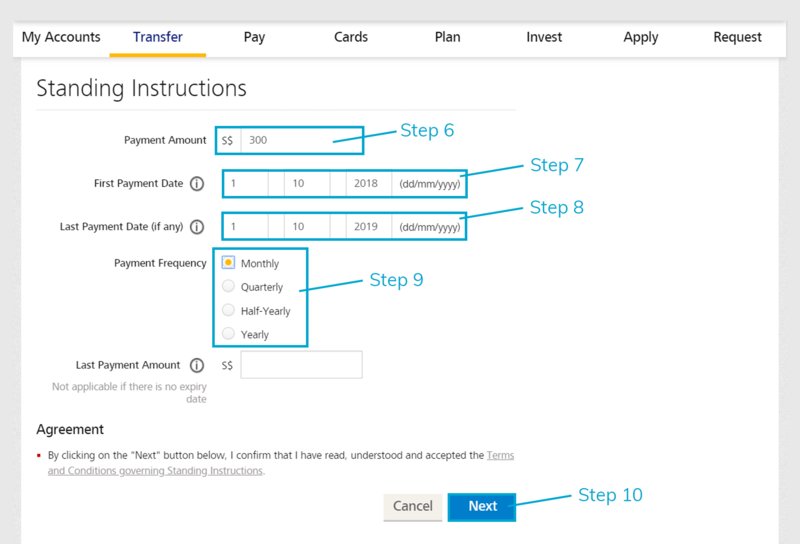 The amount invested each month/quarterly will be based on step 6. Click next to confirm and submit the transaction. We would strongly recommend that you check the information with the transfer deposit instruction email which we have sent to you. For users with two or more investment goals, please ensure that the unique goal reference number is the same as the investment goal which you would like to invest. 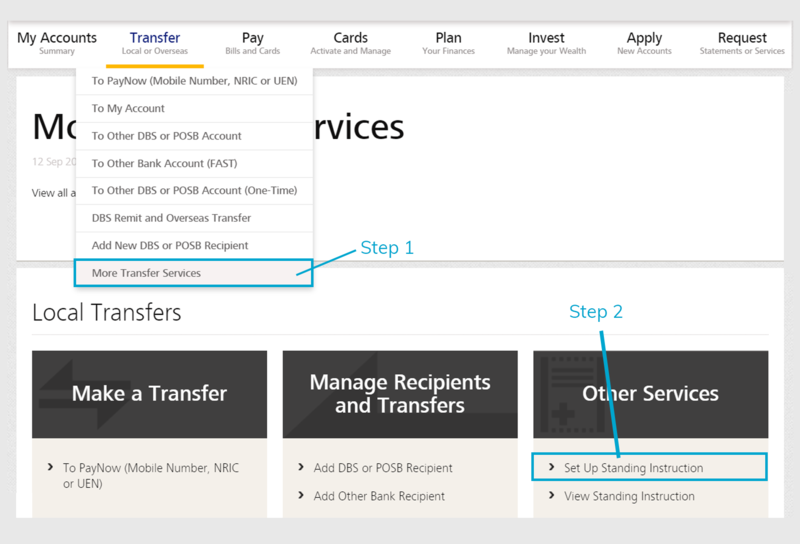 For more information on standing instruction by DBS / POSB, please head over to DBS website.